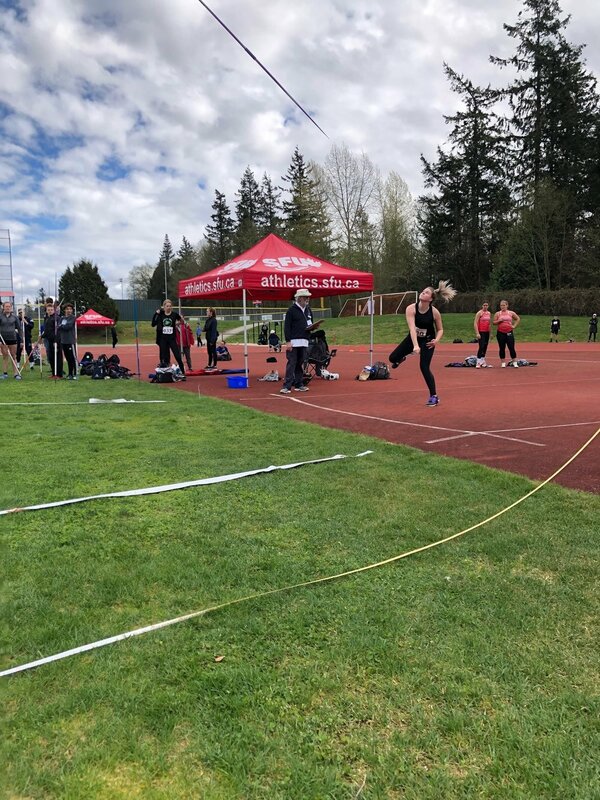 Due to new stadium construction at Simon Fraser University, the Emelie Mondor - SFU Open Track & Field meet came to South Surrey so Ocean Athletics was honoured to be able to co-host with the SFU Team. A windless sunny day meant we were treated to some great performances with several meet records broken. Here are some of the track photos taken by Gord Kalisch, and a shot of Rori hurling a Javelin. If anyone has more photos they would like to share please forward them to Ted.